Instagram is no doubt the latest rage in photo sharing, recently crossing one million users after less three months of being open to the public. While the company is planning to open up its API in the near future, one developer has built a nifty new app on top of Instragram that has a roulette type of feature to access photos created and published via Instagram’s iPhone app. 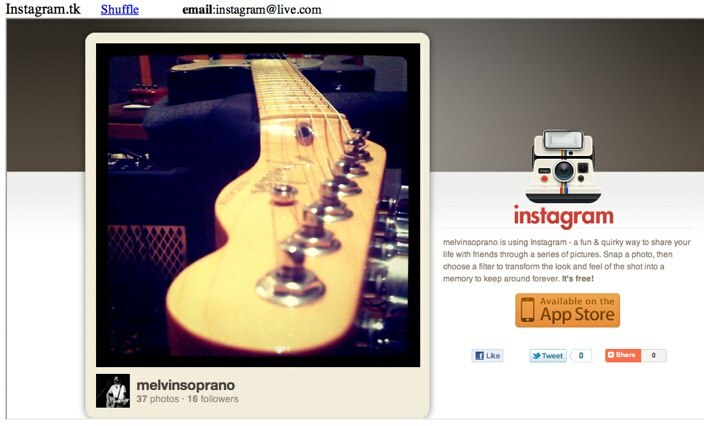 Called Instagram Shuffle (http://instagram.tk/), the web site displays photos uploaded to Twitter using Instagram in real time. Every time you refresh the page (or click on Shuffle) a new image published by an Instagram user appears. It’s important to note that Instagram Shuffle does not include photos that were not posted to Twitter via the Instagram app (users can also post photos to Facebook and Flickr). So why is this interesting? The photos taken by Instagram users tend to be fairly artistic and visually appealing thanks to the photosharing app’s many filters. For anyone who doesn’t own an iPhone and wants to check out what Instagram can do with photos, this site is definitely an interesting resource. One thing’s for sure-I’m looking forward to seeing what innovative web and mobile apps developers come up with when Instagram does release its API.